I had done exactly what I thought I needed to do: I earned good grades in high school, I went to college on an academic scholarship, I held my grocery store job throughout college, and I graduated college with one simple realization – I hadn’t a single clue as to what I would like do with my life. Less than two months after graduating college, I found myself lucky enough to land full-time employment at a neighboring university six miles down the road in the admissions department. I had a chance to help others fulfill their dreams. But, after helping develop a workflow for a brand new department, training new employees, and eventually getting swept under the rug as a steadfast worker going nowhere, I woke up. I was helping students find their dreams and chase them, but I hadn’t taken any time to find or chase my own. The process of finding an exciting opportunity, applying, and interviewing were simple enough, and soon I was off to Arizona for a job with Delaware North in Grand Canyon National Park! Upon arriving, I realized a few things: I had just gotten rid of most of my belongings, including my lovely single bedroom apartment in Florida, I did not know anyone within a thousand miles, I had never been to the Grand Canyon, and my employee housing had NO AIR-CONDITIONING in the middle of June. As a Florida girl, I was beyond dismayed. I wasn’t used to hills, let alone elevation (what the heck was that?! ), and air conditioning was my favorite invention. However, I was determined to make the best of the initially shocking circumstances. That resolve helped me very quickly wake up to realize that this was the single best opportunity that had ever been presented to me. 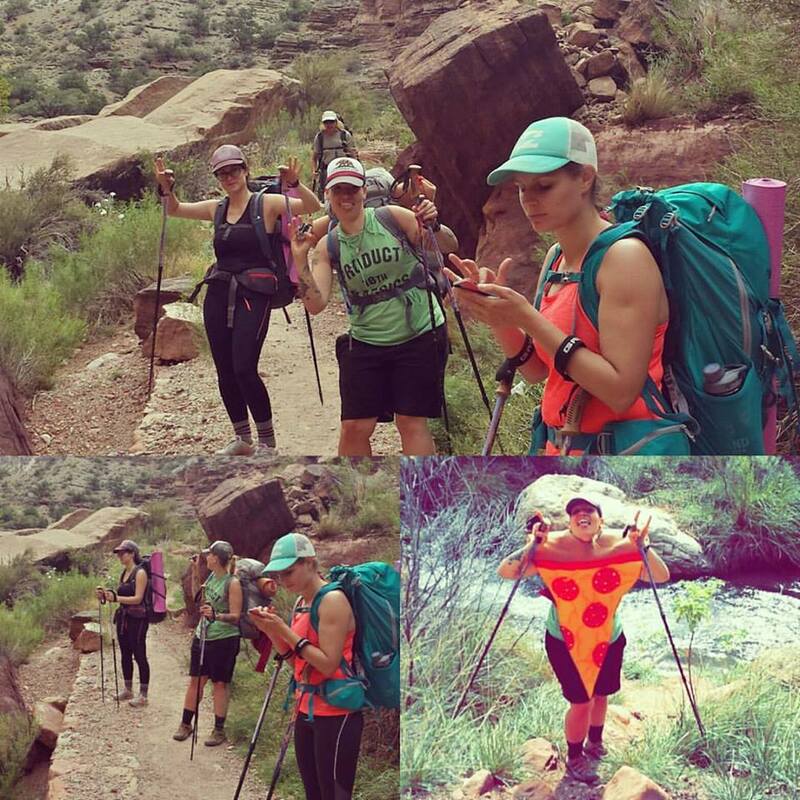 Shortly after settling into my new home, I started spending time with new friends and within the Grand Canyon itself. I have made some of the most beautiful connections since kicking off my weird travel/seasonal life. I have friends now from all over the country and the world. I opened myself up to the idea of meeting new people, many of whom turned out to be characters all on their own. I have run across co-workers and guests from all over this planet even while traveling outside the Grand Canyon. The seasonal work environment is a place filled with people from all imaginable walks of life: the professional wanderers, the college kids (determined to make the most of their summers), the divorcees trying to re-establish themselves in the world, the vets (both young and old) building a community of brother/sisterhood through experience, the runaways, the strong, the weak, the confused, the broken, the dreamers, and a few folks who feel a little of all those things. 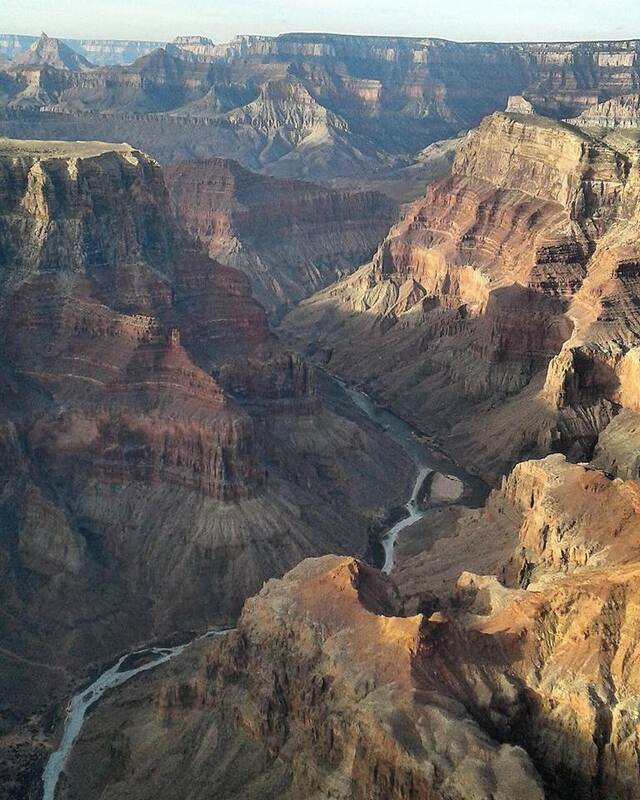 Grand Canyon has been a beautiful experience. It is laughable to me now that I could look back and think I couldn’t survive without air-conditioning. It is humorous that I come from a place without hills and yet I have hiked from Rim to Rim of the Grand Canyon with three of my loveliest friends from Slovenia. I think it’s sweet when guests here stop me on the trails and ask how I could possibly know one of the mule guides or run into a buddy on the shuttle back to the lodge. The camaraderie and the incredible views have served as the background to my adventures for a few years now. I left the Grand Canyon ‘parkie’ life to travel and learn through new experiences, but have recently found myself back at this gem. It isn’t just the sweeping views, the folklore, the history, or the geography that has built my heart, but it’s also the people I’ve met during this whole crazy, beautiful process. I’m incredibly grateful that there is a resource like CoolWorks to share these and other opportunities. There are other folks who share this sense of wonder, adventure, and livelihood that we share. The folks from CoolWorks and the brave ones who live this alternative lifestyle and understand that it isn’t just about making a living, but it’s also about making memories. My life is so much richer now because of these experiences, and I am continuously eager for what may be ahead. If you’re wondering what it would be like, I have to admit that there aren’t enough pictures, blogs, or folks out there to bring you the message. I waited in my little cubicle for a sign until one day I was either brave enough or crazy enough, but I will never be grateful enough for having taken that leap. To any reader feeling a hint of wanderlust, a pinch of adventure, and a healthy dose of fear, I hope you take the chance to build the future you envision. So long as you carry a willingness within yourself, adventure will always be waiting. I’ve been looking over this website for a little while now, and just stumbled upon your journal post. For months I feel like I’ve been looking for a sign to just get up and go. I work in tech support at a software company, and I actually love my job, but I know it’s not where I want to be. When I read your post, I felt like my heart was beating out of my chest as if this was the sign I’d been looking for. My question is: how do I go about this. How can I get the job I want without finishing my college degree? (I’m in school currently but have a a little while to go) What advice do you have for embarking on this journey? I hadn’t looked at this in a long while and I wanted to address the folks who were responding to the blog posting I submitted here to coolworks: Kathryn, I don’t have advice on finishing school and finding what you need with/without a degree. That’s a personal decision for yourself in the long run, but if it helps, maybe take a semester off (summer preferably) and experience seasonal work to gather some experience and test drive the life. 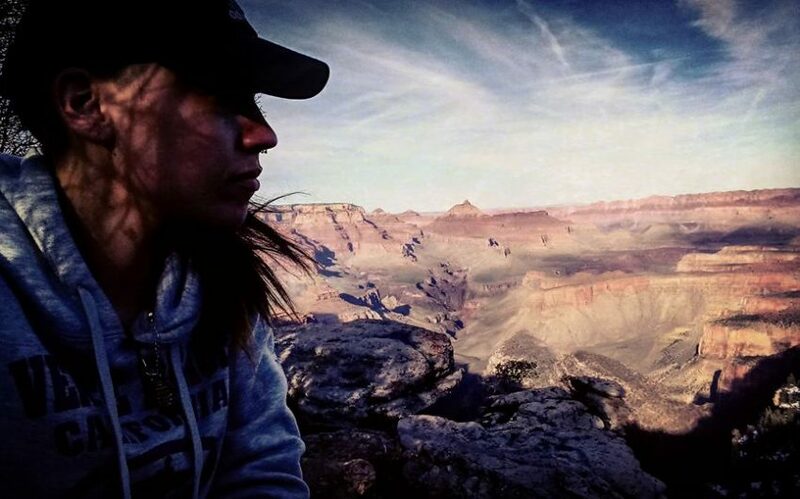 Cathy – actually, quite a few companies offer benefits to their employees, so while I was at the grand canyon under the umbrella of seasonal work, I actually had a yearly position and had insurance, along with sick days, etc… it was lovely. Check it out! Cheryl: depending on where you are in your life and stages of work/etc you can likely find something accommodating to your interests that get you working somewhere beautiful, and enjoying those days off! Hope these responses help. Read your post over and over … so inspiring!! I’ve considered this myself but what do you do about health insurance? Not having health insurance as a seasonal employee is something that I get hung up on every time … major hurdle for me … Any advice is appreciated. How exciting to find this website journal site. I am at the very beginning stage of leaving FL from April or May until Sept October and this looks like a great place to go for my first adventure. I have already planned an Alaska cruise the end of June for one week before I got the brilliant idea of being gone for six months. I would love your feedback on where to start. I start Medicare in March. Yikes…however, I love kayaking, hiking, bike riding, just got 3rd place in 5K last weekend. Love outdoors and my background is in sales, training, and customer service, although for past three years I have been working part time as Real Estate Admin. Hey Cheryl. With your interests an I recommend checking out Olympic National Park in Washington? I worked there years ago and loved it. It’s a fantastic place for kayakers as you have access to beautiful lakes, the Elwa River and the coast line. It also offers a long and diverse season so it’s somewhat easier for a first timer.